Bring a dream living space alive with a refresh to the kitchen. Create extraordinary kitchens for a smaller cost when you partner with a professional kitchen designer and buy wholesale products. The staff at ProSource® of Boston assists pros and their homeowner clients to help them find the perfect kitchen products. When you’re working on a kitchen that cries out for a complete makeover, call our experts or visit our showroom. The team at ProSource has the tools and know-how to help design a dream kitchen, and select the wholesale features and fixtures pros and their homeowner clients want. Our experts make it easy to sift through the variety of design options to find the right solution quickly and effectively. 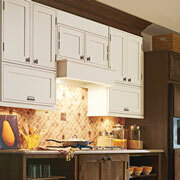 The wood type and finish of cabinets define the entire feel of the kitchen. This stylish upgrade can also add storage to a kitchen and personality to the cooking space. Our showroom has an incredible variety of cabinets at competitive prices from top brands. 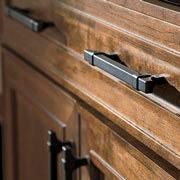 Cabinets would be incomplete without the right hardware. The pieces of hardware are both functional and decor statements. From traditional knobs to pull and handles designed with extraordinary craft, the hardware becomes a quintessential detail that brings together the entire look of the kitchen. Granite. Quartz. Blended and recycled materials. 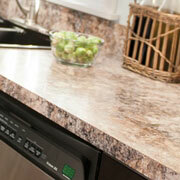 These are some of our most popular countertop materials that can be used in any kitchen remodeling project. They come in a wide variety of colors and finishes that bring together the entire decor feel and function. The kitchen sink keeps the home running smoothly. Day in and day out, the sink is a focal point of activity. A large single bowl gives the space needed to wash large pans, while the double bowl organizes and separates; we even have triple-basin sink options. Choose from top- or undermount sink styles for ideal usability—among others—and don’t forget about the faucet configuration. Long gone are the days of one-faucet-fits-all kitchens. 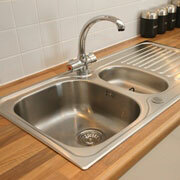 In fact, many kitchens have more than one faucet for easier usability. 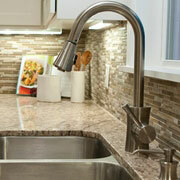 ProSource of Boston has a variety of faucet styles, colors, and functions that help finish any kitchen remodel. Visit our showroom to find the right faucet for your project, such as the standard faucet (plus the option for an added spray function), a beverage faucet, a pot-filler faucet, and more.